Chances are if you are reading this, you have heard about a miraculous product known as CBD that seems to be taking the world by storm. This fantastic cannabinoid which is produced by cannabis and hemp is being utilized by many via thousands of different products available on the market today. One of the most common ways of consuming CBD and reaping the many potential benefits that it has to offer is through vaping. So why CBD and why vaping? CBD has taken the world by storm it seems in recent years. This hempsational phytocannabinoid can be found in everything from drinks and foods to makeup, hygiene, and beauty products as well as almost everything in between it seems. CBD which is short for Cannabidiol is a phytocannabinoid (cannabinoid produced by plants) found naturally in high concentrations within the cannabis plant. In particularly a variety of Cannabis Sativa L known as Hemp. Hemp is a variety of cannabis that contains less than .03% THC and offers absolutely no psychoactive or intoxicating effects for consumers. This is helping to make CBD very popular. The plethora of potential conditions, ailments, and symptoms that CBD may be able to help with is also very attractive to consumers. According to both anecdotal claims and scientific research, CBD has the potential to treat the following and much more. Now that you know more about how CBD may help and the conditions that it could be an effective treatment option for let's look at why many individuals choose to vape CBD products in comparison to consuming CBD through other methods. Vaping is an inhalation consumption method that many people are choosing rather than traditional inhalation methods such as smoking. This is true not only for just CBD products but also for nicotine-based products as well as cannabis products in states and countries where it is legal. The reason why people are choosing vaping over smoking is that it is widely believed to be a safer alternative. Vaping is believed to be healthier as it does not require the combustion of dried plant material for consumption. This combustion results in a plethora of carcinogens being produced that could cause a wide variety of different issues for consumers and patients. When you vape a product such as CBD e-liquid, no combustion of plant material occurs. Instead, the product is brought to a specific temperature without the use of applying an open flame. This results in only the product being heated, and not harmful carcinogens being combusted and inhaled. There is however much debate around this subject by medical professionals as well as patients and consumers. The main argument against vaping is that we don’t know the potential long-term effects as it is a relatively new trend that is being adopted around the globe. CBD Starter Kits- What Are They? So, what are CBD starter kits and how might benefit from owning one? This is probably a question you are asking or have asked yourself before. 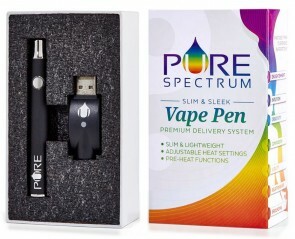 CBD starter kits are vape kits that include everything you need to start vaping CBD products. 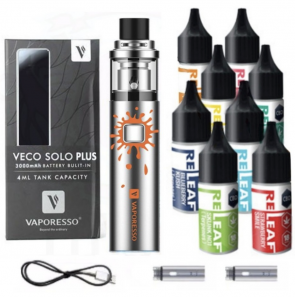 In particular, these kits include everything you need to vape CBD e-liquid. CBD e-liquid is a product that contains CBD isolate, PG, and VG. Sometimes CBD e-liquid is made utilizing MCT oil rather than PG and VG. CBD starter kits typically come with a full vape pen setup and at least one bottle of vapable CBD e-liquid. 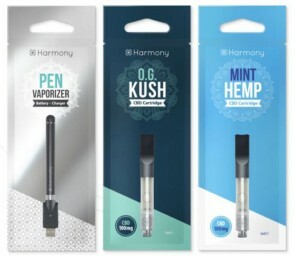 Other CBD starter kits will come simply with a preloaded vape pen that is meant to be utilized for the life of the oil and then disposed of. Depending on your specific needs and goals, the CBD starter kits that are right for you may differ from someone else. That is why you can find a plethora of different CBD starter kits on the market today. 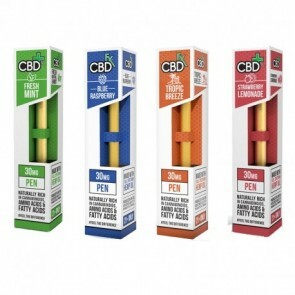 CBD e-liquid comes in a multitude of different varieties as well as strengths. Here are the details you need to know when choosing CBD e-liquids to fit your needs and goals. CBD unlike many other nutritional products is not approved by the FDA and cannot be recommended or prescribed by medical professionals in most places. Because of this, specific recommendations on the amount to consume or the strength needed to address different ailments is not set in stone. Many consumers, for this reason, base their choices on the experiences of others that have previously utilized CBD products with success. In general CBD e-liquid comes in the following strengths. PG- Propylene Glycol is one of the most common ingredients in vapable e-liquids. PG produces no odor or color and is widely considered to be much smoother for vaping than VG. VG- Vegetable Glycerin is a very common ingredient in vapable e-liquids. VG is a food grade substance found in many different products that we consume on a regular basis. MCT- Medium Chain Triglyceride is a standard carrier oil for CBD isolate and other compounds commonly vaped. The most common MCT oil that many people are familiar with is MCT coconut oil. CBD Isolate: CBD isolate is an isolated form of the CBD compound that contains no other ingredients, compounds, or aspects. 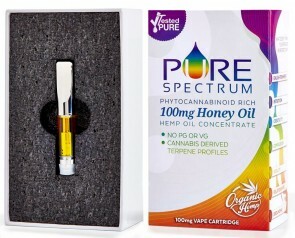 To get started vaping CBD today, check out the wide variety of CBD starter kits below!